Titanfall developer Respawn Entertainment’s new battle royale game Apex Legends borrows heavily from Overwatch to create something unique in the popular genre, and it may have beaten Blizzard to the punch. Apex Legends plucks the best bits from Overwatch, like ultimate abilities and classes, and drops them into a 60-player, shooter arena. This first-person shooter is similar to Fortnite and Call of Duty: Black Ops 4’s Blackout mode, but it wrinkles the format with abilities like portals, holographs, light healing, and respawning. Although it’s still a battle royale game — which means you’ll spend each round scavenging for items and weapons, making sure to escape the enclosing circle of death — it demands that you consider which of the eight characters you’re playing against, versus simply how well they can aim their guns. The characters, two of which are black women (Overwatch still doesn’t have one), each have their own skins, voice lines, and unique animations. You can earn all of the cosmetics by playing the game or purchasing loot boxes with real money. Thankfully, there’s absolutely no way to pay for better equipment. Overwatch developers have mentioned briefly discussing turning its hero-focused game into a battle royale game, but ultimately shot the idea down because of how complicated it would be. 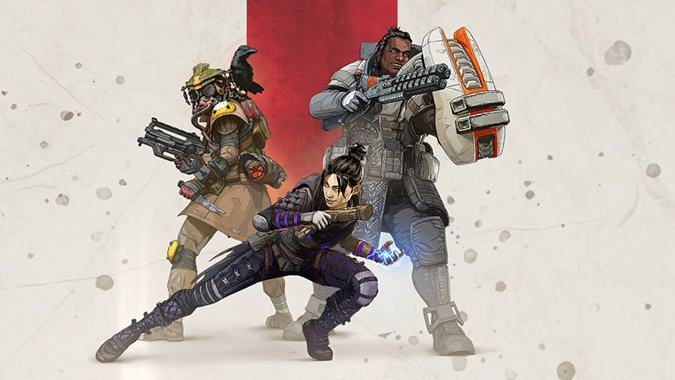 Apex Legends demonstrates how you can do a lot to change up how the genre works by starting small: the game forces three-player squads and is designed for character abilities to function for everyone in the group. That doesn’t mean we’ll never see a Blizzard battle royale game, but you can almost imagine a stripped down set of Overwatch-like heroes dropping into a giant map. Apex Legends is completely free to play on PC (via EA’s Origin), Xbox One, and PlayStation 4. Respawn promises regular updates that could even include changes to its modes and additions to its playable characters.